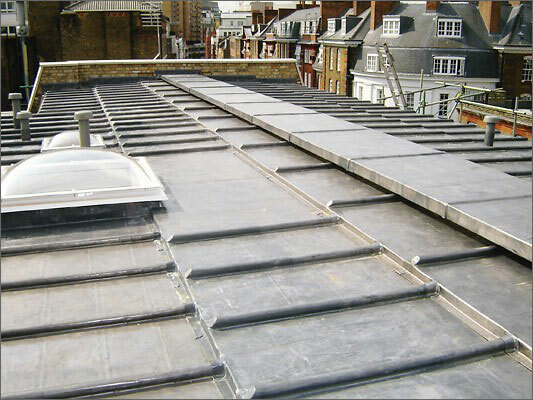 This Large lead roof was carried out in the city of London, and was completed using code 7 and code 8 sheet milled lead. 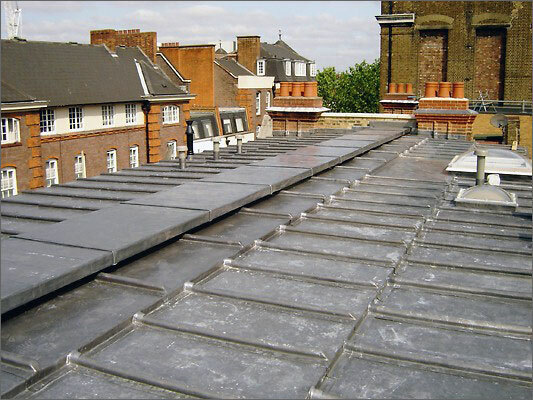 There were also two mansard roof pitches that were renewed in welsh Lead Roof Covering. 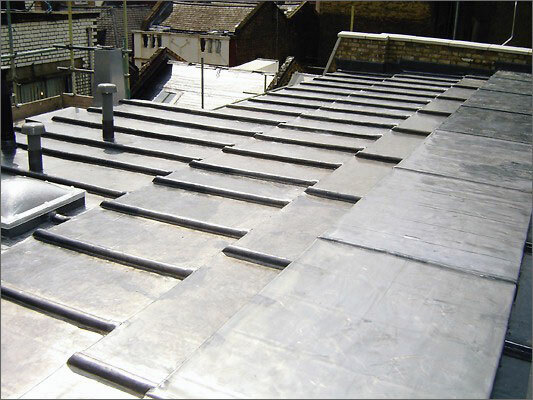 Middle section of the completed lead roof. Front of the completed lead roof. Cross section of completed lead roof. 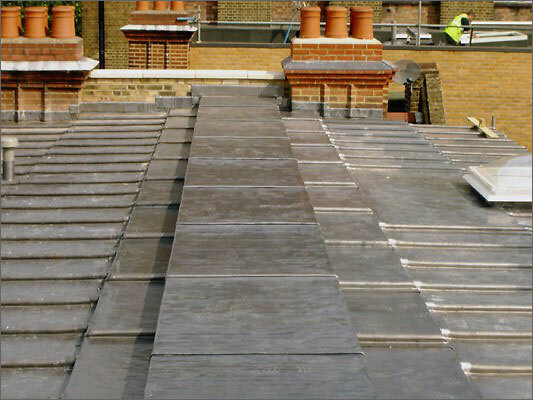 Detailed side on section of the completed lead roof.